I had a good time meeting teachers and students at the Quest Carnival tonight. 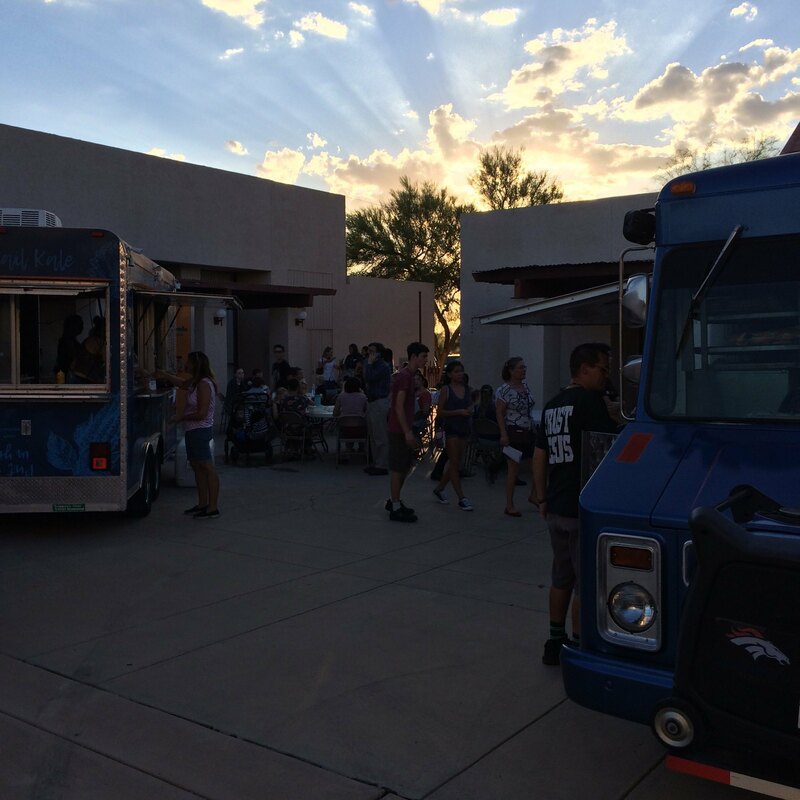 Yummy food trucks! This year I’m teaching Old Testament Survey and cello. Classes start Monday, but there is still time to sign up.